Reuters says EPA Administrator Andrew Wheeler feels that move can be made because lower prices for blending credits have made the cost of compliance lower. 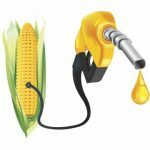 The administration’s recent use of those waivers to save the oil industry money has drawn the ire of the corn lobby, which claims the exemptions have been overused and threaten demand for corn-based ethanol. The waivers have been handed out at a time when farmers are already struggling financially. During the Trump Administration, the EPA has granted far more waivers than at any time in the past. In an interview with Reuters, Wheeler says the prices of the Renewable Identification Numbers have fallen, easing the financial strain on refineries in complying with the biofuel blending requirements.